SmarterPath for Office 365 – Construction Continues! As announced last month we are continuing our development efforts on SmarterPath’s integration in Microsoft Office365. SmarterPath for SharePoint online, Teams, Delve and Outlook will be ready to released at the end of Q3, with Yammer scheduled for Q1/2018. 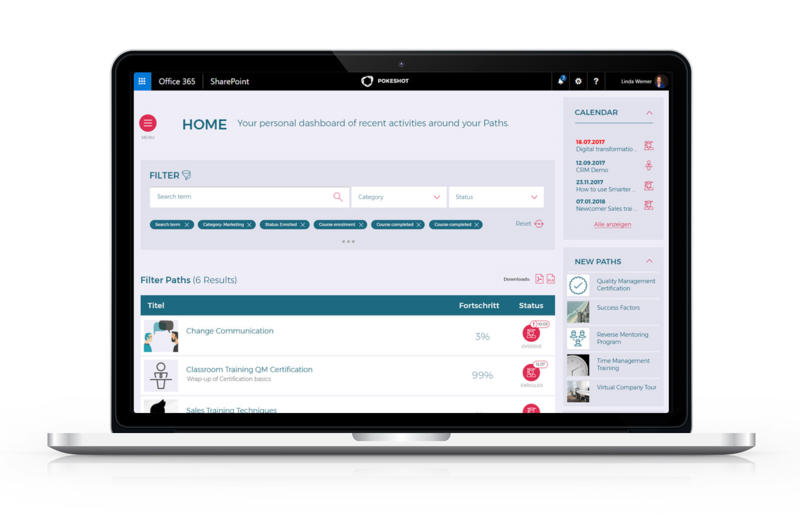 SmarterPath is a software solution (SaaS) that combines the daily work of your employees, as well as knowledge acquisition with social collaboration components. In a growing Office 365 community the need for structuring knowledge and Diversity is getting bigger and bigger. While vendors with traditional systems focus mainly on the 10%, SmarterPath offers huge possibilities to service all of the 70:20:10 model. It is highly integrated into your employees’ Office 365 work environment and uses their current toolset (no need to change systems), gathering knowledge with SmarterPath is rich in context and treated as an on-going experience rather than a one-time event. Created in 2012 and in use by customers ranging in size from 300 employees to 150,000, SmarterPath meets a variety of needs. Use cases such as onboarding, sales enablement, compliance and technical training are a few examples. Interested? SmarterPath is already available for Jive users. Have a look at our short teaser of our customer Orange using SmarterPath to enhance their onboarding process. Feel free to also have a look on our website or our YouTube channel for more insights. We would like to invite you to an upcoming webinar to learn more about SmarterPath for Office 365 and how it can help you embed learning where your teams are already working. Visit our webinar website and sign up today!